Yesterday a storm came through bringing wind, rain, and a dramatic drop in the snow level in the Coastal Range to the east of us. I actually tried to get out to paint yesterday thinking that I could slip in before it hit too hard. Unfortunately, it had gathered a pretty good steam by Tuesday morning. 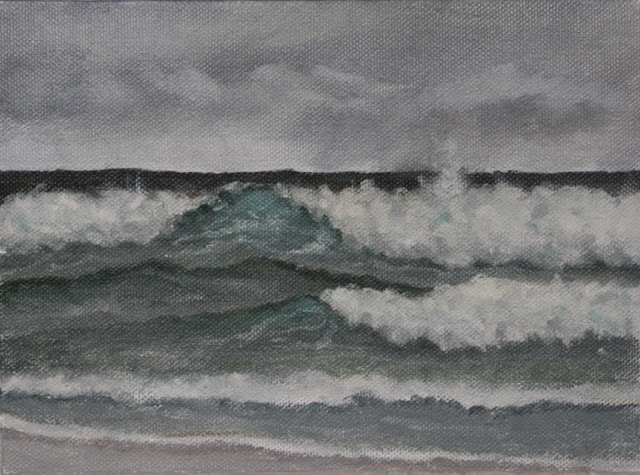 I spent time studying the waves but did not paint as the wind and rain were blowing directly in my eyes. I spent yesterday afternoon studying and went out again this morning. This time I got some painting in, although I was hit by several squalls. I got a bit wet. That isn't really a problem as I was dressed for it but when it gets too wet, it starts to interfere with the paint sticking to the canvas. I waited out the worst of the squalls and got this much painted. I would have liked to have painted a bit more and been able to add more of the foam detail but the rain picked up again as I neared the end so I called it good. I tried a few new things but mainly focused on the foam of the breaker waves. I am trying to get a better value range and a better sense of the shape of the wave foam while still maintaining the subtlety of the waves on a gray day. The wave foam has a distinctive series of shapes. I can see them but getting them on the canvas is another thing altogether. I will keep working on it. I love it when the weather is wild. It is challenging to be out on the beach in those conditions but the rewards are great. 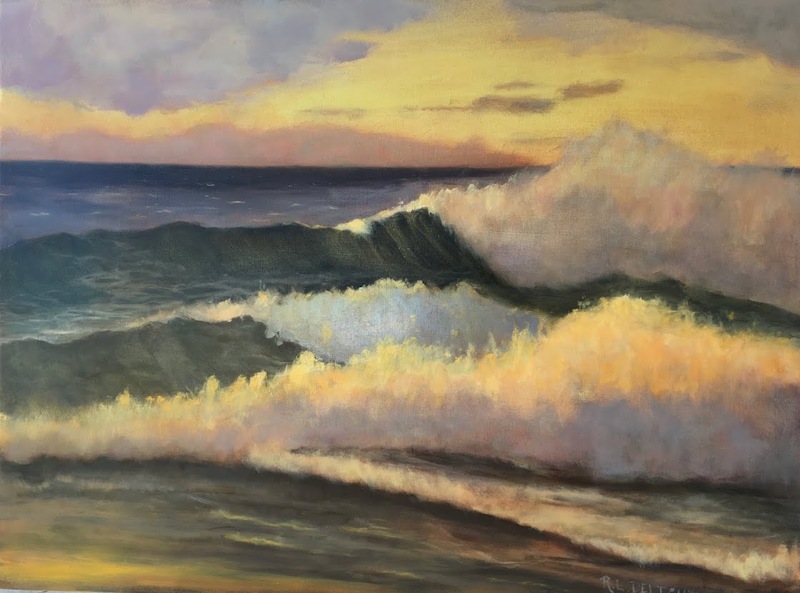 The waves were stunning which is a bit hard to tell from the painting. I have to simplify things quite a bit to make the studies. Perhaps one day soon I will do a painting the puts a lot more of the action in. There was also a couple of resident Bald Eagles feeding on the beach. The storm tossed up some good things for the critters who dine by the sea. This afternoon I will be studying to help me push to the next level. We shall see what the weather brings tomorrow.